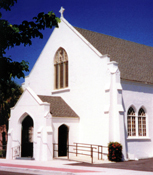 Welcome and thank you for visiting the site of St. Patrick's Episcopal Church! We are happy to share our life and the love of Christ with you at St. Patrick’s. As part of the Episcopal Church, we are also members of the worldwide Anglican Communion. If you are looking for a Church that is clear about the Christian Faith, that recognizes the importance of lay people, that encourages people to grow in the faith that they profess, that believes we ought to live so as to make a difference in the world, then, St. Patrick’s is the Church for you! Come worship with us this coming Lord's Day. Please feel free to contact us with any questions, concerns, or prayer requests.